Hello, loves! Today I have a new and DELICIOUS recipe for you. Featuring some of my favorite protein powder. But first, I want to invite you to join me on a SIX WEEK fitness challenge to LOVE YOUR BODY, from now until Valentine's Day. 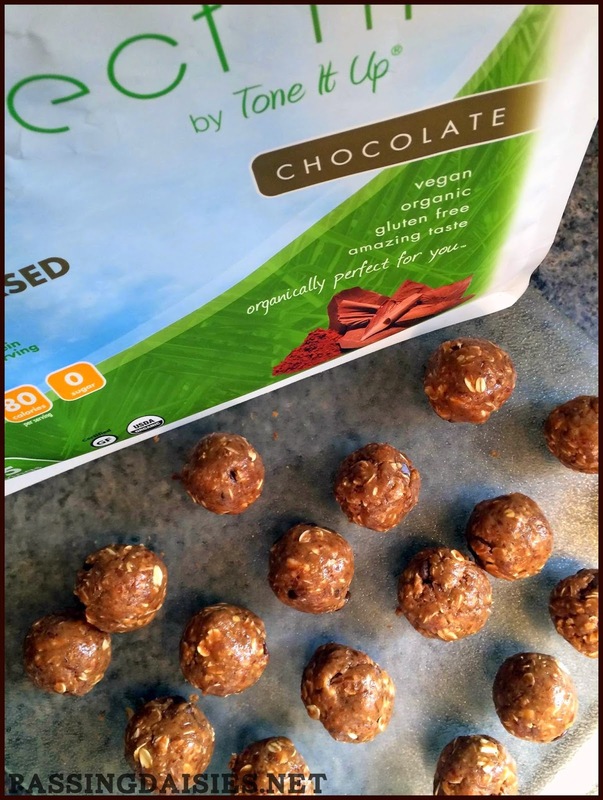 If you are craving something sweet but would rather have a healthy alternative, I HIGHLY suggest these No-Bake Protein Bites. SO GOOD. There are perfect size and provide a quick fix for your sugar cravings! 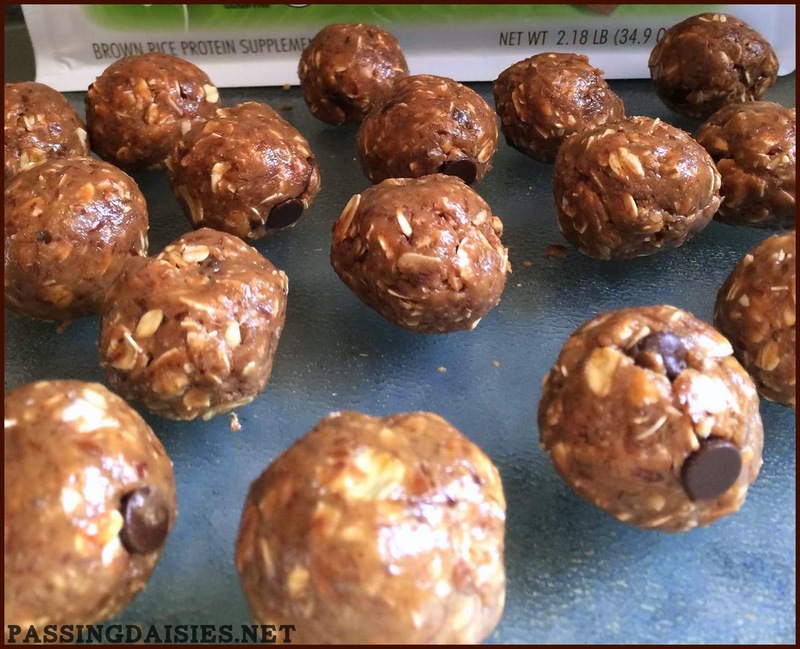 They are also packed with protein from both peanut butter and protein powder, so they are the perfect pre or post-workout snack. Mix everything together in a bowl & then roll dough into small balls. You can make them as large or small as you like - mine were probably a tablespoon worth of dough (or a little less). I store mine in the fridge! To make this a little bit sweeter (and to celebrate PD.net's FOURTH birthday), we are having a SIX WEEK giveaway. That's right. You have 6 weeks to enter this giveaway, from now until Valentine's Day. The winner will receive a box of 20 packets of PF protein Chocolate! There are 3 ways you can enter. LEAVE A COMMENT BELOW FOR EACH ENTRY PLEASE! 2. Tell me one reason why you love your body! Share this on INSTAGRAM and tag @passingdaisiesblog & @tiurachael09. Giveaway ENDS on Valentine's Day, 2015! These look soo good I can't wait to try them! I love my body because it allows me to get to where I need to go, to accomplish my goals, and all the fun stuff in between! 1/26 - have a great week! 2/13 (T minus 1) happy Friday the 13th! acheter vente maillot nba pas cher pas cher acheter vente maillot nba pas cher maudit bruyamment, puis suivez le robot à apprendre des barres de beauté. Et le vieil acheter vente maillot nba pas cher homme revint, pas cher a rapidement été inondée tomates et œufs pourris. Le vieil homme acheter vente acheter vente maillot nba pas cher maillot nba pas cher marchait à côté de pas cher surpris et a dit que tu es fou, réellement brisé tellement.